For the past 20 years, Jim Steffey has worked to improve the lives of individuals with disabilities. It’s an important mission for him, he says, because he’s met so many people over the years who have experienced life within large, institutional settings. Now Steffey has made it his goal to help individuals find safety and comfort through a sense of place — a place where they’re able to feel empowered and independent. A place that reminds them of their vital presence within a neighborhood as part of a community. 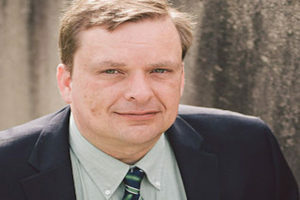 Steffey currently serves as executive director for both nonprofits. While the Housing Network services Hamilton County, Partnerships for Housing services Butler County, where the organization functions as property manager, ensuring its clients have access to safe, accessible and affordable homes. The most rewarding aspect of the position? • The two nonprofits just joined social media. Welcome them to Facebook by liking their new pages: Housing Network of Hamilton County, Partnerships for Housing. • Contact Jim Steffey if you would like to support either organization by volunteering to do landscape work and other home-oriented tasks.